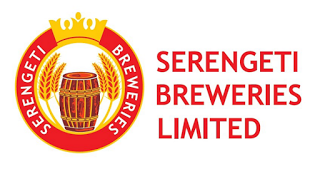 Serengeti Breweries Limited (SBL) is a fully integrated beverage business in Diageo Africa (supply and demand for beer and spirits) It is a subsidiary of East Africa Breweries Limited (EABL), the largest business unit in Diageo Africa and the largest listed Company on the NSE in Kenya. The company was acquired by EABL in October 2010 and has three breweries located in Dar es Salaam, Mwanza and Moshi. SBL flagship brand is Serengeti Premium Lager. Other brand portfolios include Tusker Lager, Tusker Lite, Kibo Gold, The Kick, Uhuru Peak, and Senator. Headquartered in Dar es Salaam, SBL is also the distributor of several global Diageo international renowned spirit brands such as Johnnie Walker®, Smirnoff Vodka®, Bailey’s Irish Cream ®, Richot®, Bond 7 Whiskey® and Gilbeys Gin®. To drive production processes to be able to attain quality wort and beer at optimum cost in most efficient manner at a safest way while playing part in building a high shift morale.